A Microsoft Innovation Center (MIC) is set to open in Miami in a few weeks. Located in Venture Hive‘s downtown Miami location, it will be the first of its kind in the US. As we reported, Miami was chosen partly because of its close ties to Latin America, and Microsoft says that this new MIC will serve as the gateway to the LATAM region. In addition, the Redmond firm hopes to surf of FIFA World Cup with the release of a Brazil-exclusive Nokia Lumia 630. The mobile handset includes a built-in Digital TV (DTV) signal receiver that will let soccer fans watch games wherever they are. Google rolled out its voice-based search feature in Brazilian Portuguese. In addition, users can now navigate within Brazilian airports, soccer stadiums and shopping malls through Google Indoor Maps, which launched in Brazil a few weeks ago. The company also awarded four Brazil-based social projects with R$1 million ($446 million USD) as part of its latest Social Impact Challenge. Facebook announced it would expand its Premium Video Ads to international markets including Australia, Brazil, Canada, France, Germany, Japan, and the UK. The rollout will be gradual over the next few months. Intel opened a R&D center in Rio de Janeiro, ZDNet reported. It will center on the ‘Oil & Gas’ and ‘Smart Cities’ verticals, with a focus on Internet of Things, Big Data and High Performance Computing (HPC) solutions. Spotify launched its music streaming in Brazil, missing earlier deadlines after facing delays but still on time for the World Cup. The platform is now available in 57 countries, but faces strong competition in most of them. Its rival Deezer recently unveiled a partnership with music recognition app Shazam to let users listen to the songs they have tagged. The feature will be available in the UK, Germany, Mexico and Brazil and follows similar agreements with Spotify and Rdio. Private car service Uber also landed in Brazil. According to Startupi, its presence is currently limited to Rio de Janeiro, and follows earlier rollouts in Bogotá, Cali, Lima, Panama City and Santiago. Rocket Internet’s taxi booking platform Easy Taxi expanded into Uruguay. According to local newspaper El País, its Montevideo fleet includes 2,000 registered vehicles, compared to 500 for its competitor SaferTaxi. América Móvil became the fifth operator to back the Firefox OS initiative, with the release of the Alcatel OneTouch Fire in Mexico through its local subsidiary, Telcel. This means Firefox OS is now available in 15 countries. As for MVNO Virgin Mobile, it is preparing to enter Mexico and Brazil, respectively in 2014 and 2015, El Financiero reported. To do so, it raised a new round of financing worth $86 million, backed by a $41.5 million line of credit. Yelp rolled out its online guide for restaurants and local businesses in Argentina, Info Technology reported. Available at yelp.com.ar, it already features localized content and reviews. Online coding learning platform Codecademy is now available in Brazilian Portuguese, French and Spanish thanks to partnerships with respectively Brazil’s Lemann Foundation, Libraries Without Borders and the city of Buenos Aires. Meanwhile, in-person programming teaching startup Ironhack expanded from Spain to Miami with an eye on Latin America, Pulso Social reported. The company organizes eight-week bootcamps in both mobile and web development. Messaging app Line expanded its paid-for international calling service Line Call service to iOS and made it available in an initial 10 countries, including Argentina, Colombia, Mexico and Peru. All of them except Argentina were already included in the service’s Android rollout. Social network for readers Lectorati made its official debut during Buenos Aires Book Fair. While it shares similarities with its American counterpart, Amazon-owned Goodreads, its design and features have been adapted to the taste of Latin American users, Lectorati’s founder Juan Ramiro Fernández told Argentine newspaper La Nación. Argentine app for hearing-impaired users uSound is now available on Android. Its goal is to act as a smartphone-powered amplifier for deaf people who can’t afford expensive hearing aids, in addition to providing anyone with a basic hearing test. 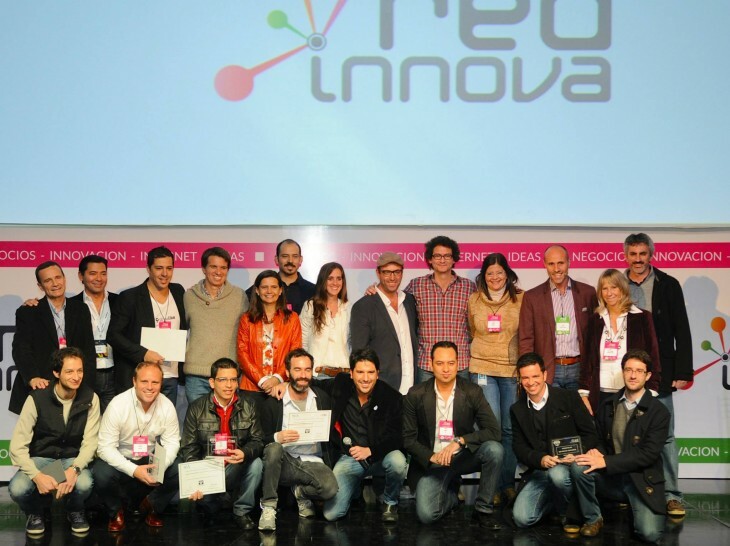 Its product got showcased twice at Buenos Aires’ Red Innova Conference a few days ago. On one hand, it was one of the 14 companies pitching at Wayra Argentina’s Demo Day. On the other hand, it took part in the Red Innova Challenge, which it won in the Health, Social Impact and Education category. The other winners among the Challenge’s 21 finalists were Mr Presta (Banking & Financial Services), BikeStorming (Smart Cities), Simplicar (e-Commerce & Retail), Sparkflow (Entertainment & Media), BTCTrip (Travel & Hospitality) and Wine Like (Mobile). Brazilian education company Grupo Positivo and online teaching software startup Blackboard announced a strategic partnership, Edukwest reported. It will see Grupo Positivo’s subsidiaries implement Blackboard’s technology for teachers and students. DIY platform Guidecentral released an Android app and a website redesign, the startup announced on its blog. Already available on iOS, it had been absent from Google Play for a few months while its app underwent a complete overhaul to reflect the company’s new identity. As you may remember, Guidecentral recently unveiled a Maker Program that rewards crafters for sharing projects. The team behind B2C secure messaging app HASH launched Criptext, a private communication platform for companies and governments. According to its Miami-based founder Mayer Mizrachi, one Latin American government is already using the service and several telcos showed interest in adding Criptext to their network. Discovered launched an Etsy-like online marketplace to showcase the work of artisans from emerging markets. As we reported, it currently stocks products from six countries (India, Indonesia, Kenya, Mexico, Morocco and South Africa) but hopes to expand further in the coming months. Brazilian software firm Totvs bought SaaS company Virtual Age for an undisclosed sum, ZDNet reported. The acquired company is based in southern Brazil and provides platforms for the textile and clothing sectors. Spanish holding for classified advertising businesses Red Arbor bought 70% of Latin American online job portal CompuTrabajo, Spanish tech blog Loogic reported. Its portfolio already included InfoJobs Brasil. US social networking app Skout bought Chilean-born nightlife app Nixter for an undisclosed sum, TechCrunch reported. Nixter currently operates in New York, San Francisco and Los Angeles and will remain a standalone brand. According to VentureBeat, the transaction was completed last January. Brazilian e-commerce heavyweight Netshoes raised a $170 million funding round led by Singapore’s sovereign fund GIC, AdNews reported. The company’s founders and previous backers Tiger Global Management, Temasek Holdings, Iconiq Capital and Kaszek Ventures also participated. Online course marketplace Udemy raised a $32M Series C round led by Norwest Venture Partners, EdSurge reported. The company plans to base its growth in foreign countries on locally-created content in foreign markets, rather than mere translations. It already offers courses in 10 languages, having Spanish as its most popular language after English. Miami-based outdoor advertising startup AdMobilize raised a Series A round of $2.2 million from Azoic Ventures, Rkk3r Labs’ investment arm Rokk3r Fuel and Venezuelan super angels. According to the Miami Herald’s blog The Starting Gate, AdMobilize will be opening a London office next month and hopes to open another office in Brazil soon. Brazilian personal finance platform GuiaBolso raised a second round of funding led by Kaszek Ventures, Startupi reported. Participants include previous backers e.Bricks and Valor Capital, as well as individual business angels. Argentina-based enterprise social networking startup Joincube raised $500K in funding from unnamed US angel investors, which it plans to use to open offices in Brazil and Chile. Joincube was previously accelerated by Wayra and Start-Up Chile. Search engine for flights and hotels Viajala reached a cumulative $130k in seed funding, its founder Thomas Allier told TNW. Its backers are Telefónica’s accelerator Wayra Colombia, Ruta N-backed Socialatom Ventures and Latin American entrepreneurs Andrés Barreto and Diego Saez-Gil. The startup is based in Colombia, targets Latin America and previously went through Start-Up Chile’s program. Government-backed program Start-Up Brasil launched a new call for startup applications, alongside several tweaks to its controversed selection process. According to Startupi, it had selected 118 startups as part its first two editions, but only 87 actually received backing, due to a series of issues that resulted in an unusual dropout rate. Starting from this edition, teams that have already been accelerated by one of the program’s partner accelerators won’t be able to apply for a chance to receive R$200k in public funding ($89k USD). Meanwhile, the Brazilian state of Minas Gerais showcased 40 startups that went through its acceleration program for early-stage startups, SEED. The Demo Day event took place on May 29 and attracted approximately 500 participants, including 95 investors, Exame reported. 500 Startups selected two Latin American companies as part of its 9th acceleration batch: Mexico’s Survmetrics and Brazil’s Solidarium. Several Latin America-based accelerators also announced new batches, including Abril Plug and Play, Recife-based Porto Digital, Argentina’s Media Factory and Start-Up Chile. Argentina-born seed fund and accelerator NXTP Labs joined forces with Mexico-based seed fund and mobile-focused corporate accelerator naranya*LABS to create a new early-stage fund that will invest at least $8 million in Mexico (disclosure: NXTP Labs is an investor in my company, MonoLibre). Part of the fund will come from public funding granted by Mexico’s National Entrepreneur Institute (INADEM). It will be used to invest in 48 startups in Mexico, while also covering follow-on investments over the next four years. A new investment fund was born in Chile: Magma Partners, which is set to invest a total of $5 million in startups, with tickets ranging from $25k to $75k. It already made two investments, respectively in real estate site Propiedad Fácil and in 4D IT solution reSTUDIO. Cuban blogger Yoani Sanchez and a team of reporters launched the island’s first independent online news outlet, 14ymedio, the BBC reported. The site was blocked hours after it first went live and can’t currently be accessed from Cuba without a proxy, Sanchez said on Twitter. Chilean telecommunications regulator Subtel banned mobile carriers from offering free access to social media platforms such as Facebook and Twitter by covering mobile data costs on behalf of their users, GigaOM reported. They will now have to stop these practices by June 1 or face fines for violating the country’s law on net neutrality.